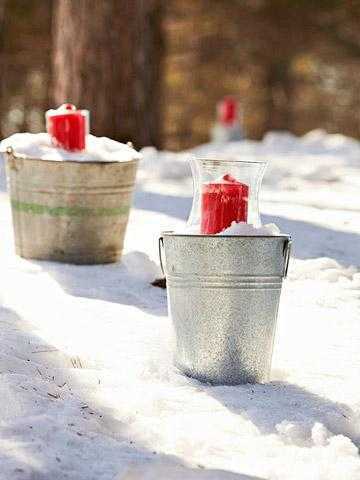 Winter decoration ideas are about adding warmth and fun to your home or outdoor rooms. 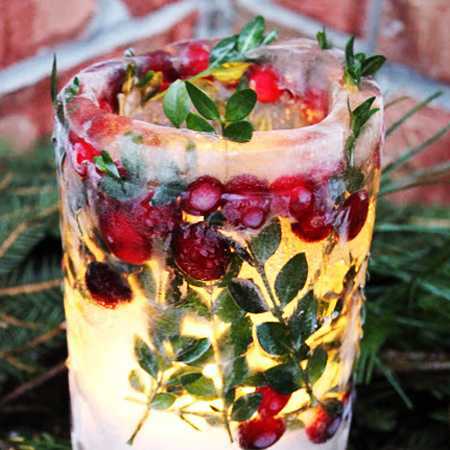 Simple, creative and bright winter decoration ideas help celebrate the cold season in style. Edible decorations and creative backyard ideas create delicious table decoration and exciting atmosphere. The outdoor winter party on the snow can be lots of fun. Here are few wonderful ideas for your picnic table decoration. Building a crackling bonfire, enjoying a gorgeous landscape, eating delicious food with warming drinks, playing on the snow are parts of outdoor party in winter. Beautiful table decoration takes center stage, making sure everybody, kids and adults are joyful and happy. Winter picnics on the snow are unique experiences. 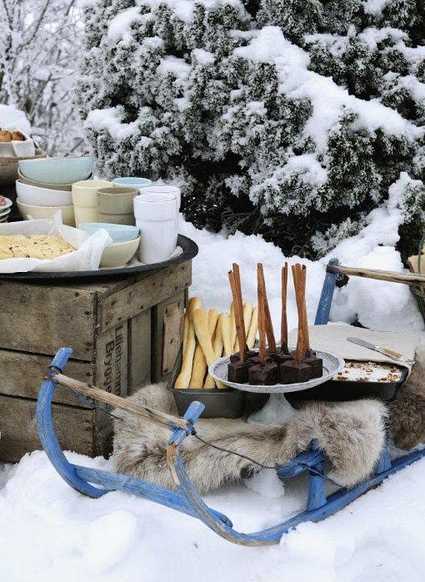 Hosting an outdoor winter party feels exciting and romantic. Dress warm, enjoy simple and delicious food and warm drinks, close in on the roaring fire and play with children to realize that you are tougher than you thought and actually can enjoy all beautiful seasons. An outdoor winter party can be easily organized when you plan a hearty food and drinks, think of stay-warm strategy and games for kids and create bright winter decoration for your picnic table and surroundings. Easy finger food is an excellent, stress-free choice for a winter picnic. Insulated bottles and containers are very handy for bringing hot water and cooked meals from home and keeping them warm. Blanket-topped hay bales or a picnic table bench, portable chairs that surround a crackling bonfire provide comfortable seats. Made of old sweaters or mittens cup covers protect fingers from hot drinks and keep drinks warm longer. Attractive and simple tableware, grouped on a tray with bright food containers in contemporary style or metal boxes and glass jars in vintage style look fabulous, creating great table decoration for your winter party. Freezing temperatures keep all beverages cold. 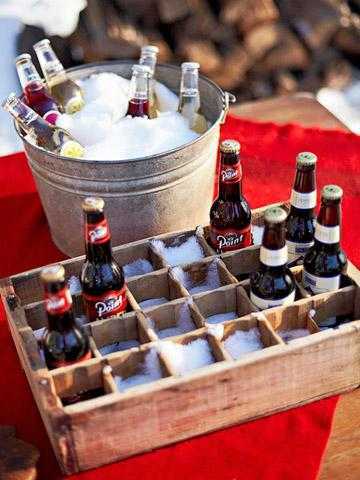 You can serve cold drinks in a partitioned wooden box or metal pail in vintage style or use contemporary bowls, cushioned with soft snow for creating fantastic, bright and inviting winter party table decoration. 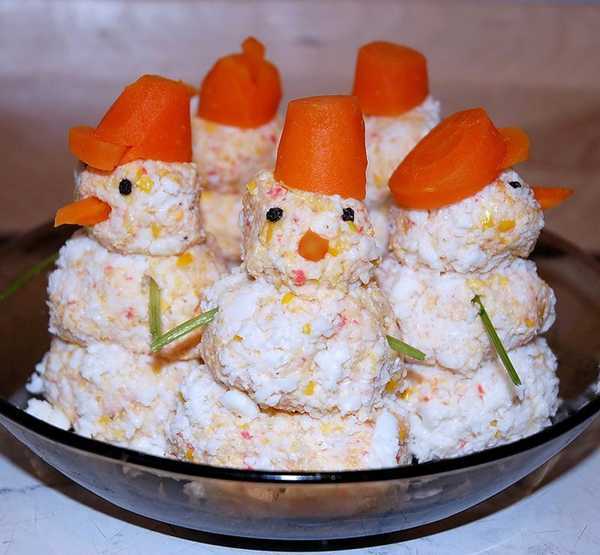 Winter themed food and treats, snowman-shaped salads and sugar cookies in winter inspired designs (mittens, snowmen, snowflakes, etc.) add a creative touch to winter party table decor and offer wonderful meals and treats for kids and adults. Simple and creative winter decoration ideas use warm materials like wood, cardboard, paper, knitted and faux fur fabrics for adding a personal touch and coziness to winter party table decoration. Adding candles creates lovely table centerpieces, making your winter picnic at dusk feel even more romantic and pleasant. Vintage furniture or contemporary light chairs for outdoor rooms, skies and snow-shoes, toboggans and winter themed ornaments, combined with festive table decoration, make your winter decoration ideas functional, playful and interesting. Skates and old mittens, scarves and hats on tree branches adds charming details to your outdoor winter decoration. Hanging lanterns crafted from glass jars or metal coffee cans makes sure that no one minds when the sun sets and temperatures drop.